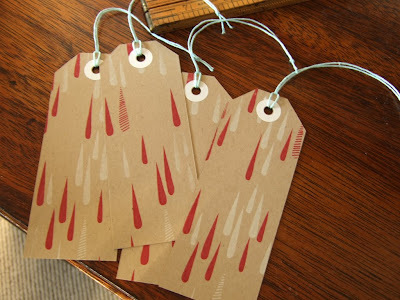 Gocco test prints + paper eyelets = handmade tags. Fun and easy. Wish I can be there... I am so far from Melbourne :( ... but best wishes on your exhibition. I so wish I could join you, but Seattle to Melborne too far, maybe someday we will get there. Have a great time! Wish I could be there it sounds lovely... maybe one day. those tags are too perfect!